A quick daunder up an old favourite and popular hill by way of the “tourist” route. Dark Lochnagar was not so dark today, at least outwith the shadows. 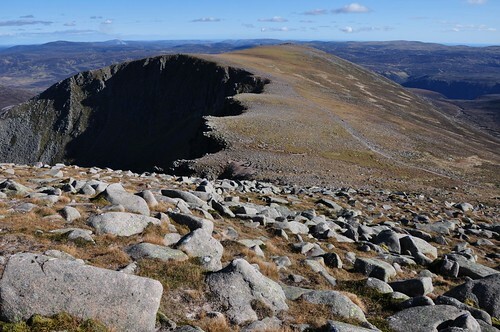 This entry was posted in Cairngorms, Hillwalking. Bookmark the permalink.